The Aam Aadmi Party (AAP), which was formed as a result of a popular anti-corruption movement, has now made it to the corridors of power in the National Capital Territory of Delhi! 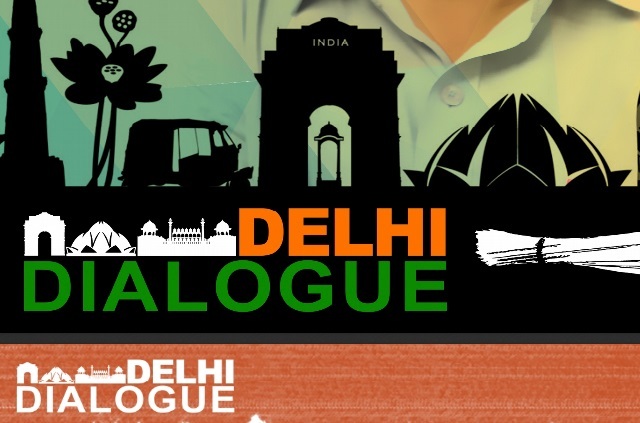 Being a people’s movement, AAP made no mistake in reaching out to the people of Delhi especially through its innovative ‘Delhi Dialogue’ strategy. We bring out and identify 26 out of the total 70 Action Points from the AAP’s Election Manifesto in order to understand and follow-up with the Delhi Government on its Environmental Action Plan. Aam Aadmi Party’s election manifesto is sub-divided below into five environmental related sectors of Water and Sanitation, Waste, Energy, Transport, Urban Biodiversity and Urban Planning. It is hoped that the present Delhi Government will ensure the fulfilling of these promises and in the lack of any effective opposition, it is equally important for the citizens of Delhi to ensure the fulfillment of these promises. 9. Water As A Right: AAP will provide Water as a Right. It will provide universal access to clean drinking water to all citizens of Delhi at an affordable price. 10. Free Lifeline Water: AAP will ensure free lifeline water of up to 20 kiloliters to every household per month through a Delhi Jal Board’s metered water connection. This scheme will be extended to group-housing societies. 11. Fair and Transparent Water Pricing: AAP will provide universal access to potable water to all its citizens of Delhi at a sustainable and affordable price. 13. Augmenting Water Resources: Our government will preserve and replenish local and decentralized water resources, will initiate schemes for rainwater harvesting, recharge of wells, watershed development and soil-water conservation. 14. Crackdown On Water Mafia: AAP is committed to clamping down on Delhi’s powerful water mafia working under the patronage of political leaders. 15. Revive The Yamuna: We will ensure 100 percent collection and treatment of Delhi’s sewage through an extensive sewer network and construction of new functional sewage treatment plants. Discharge of untreated water and industrial effluents into the river Yamuna will be strictly prohibited. 16. Promote Rainwater Harvesting: The AAP government will throw its weight behind rainwater harvesting and strongly push it in a top-down manner. 17. Build 2,00,000 Public Toilets: AAP will build two lakh toilets across Delhi: about 1.5 lakh toilets in slums and JJ clusters and 50,000 toilets in public spaces, of which 1 lakh toilets will be for women. These toilets will be concentrated in public spaces and slum areas. We will construct eco-toilets to save water. 66. Dignity To The Safai Karamchari: AAP will end contractualisation in “safai karamchari” posts and will regularize existing employees. Workers who enter sewers will be provided with protective gear, masks and appropriate equipment. 18. Better Waste Management: AAP will adopt and encourage the use of good practices in waste management techniques from across the world. 8. Delhi To Be Made A Solar City: AAP will facilitate a phased shift to renewable and alternate sources of energy. 28. Adequate Street Lighting: Seventy percent of Delhi’s streetlights do not work. Unlit streets become scenes of crimes particularly against women. AAP will ensure a 100 percent lighting of streets across the city so that no miscreant or anti-social activity goes unnoticed. 29. Effective Last Mile Connectivity: AAP will provide effective last mile connectivity in Delhi’s public transit system, which will play a role in reducing the number of crimes against women. 30. CCTVs in Public Spaces and Buses: AAP plans to install CCTV cameras in DTC buses, bus stands and in crowded places as a deterrent against crime. AAP will ensure that women can go about their jobs in the city free of stress while travelling by public transport. 50. Unified Transport Authority: AAP will formulate holistic transport policies for all forms of transport including the metro, buses, auto rickshaws, rickshaws and e-rickshaws. 51. Large Scale Expansion in Bus Services: We will expand bus services in the city on a massive scale, adding at least 5,000 new buses to the city fleet in five years. 52. Just And Fair Policy For E-Rickshaws: E-rickshaw drivers of Delhi spent many months mired in confusion. AAP will formulate a clear policy and standards for the ownership and operation of e-rickshaws, keeping safety aspects in mind. 53. Metro Rail 2.0: We will collaborate with the Indian Railways to extend and develop the Ring Rail service in Delhi. 54. Fair Arrangement for Auto Drivers: The number of auto rickshaw stands will be increased. 49. Reducing Pollution: Delhi Ridge, the lung of the city, will be protected from encroachment and deforestation. Environmentally appropriate afforestation would be carried out in all parts of Delhi in collaboration with the local Mohalla Sabhas. 37. Pro-Farmer Land Reform: Section 33 and 81 of the Delhi Land Reform Act, which put unjust restrictions on farmers’ rights over their land, will be removed. No land will be acquired in Delhi’s villages without the consent of the Gram Sabha. 55. Freehold Of Resettlement Colonies: The Aam Aadmi Party proposes a simple solution of conferring freehold rights to resettlement colonies. 56. Regularization And Transformation Of Unauthorized Colonies: We will provide registration rights with regard to property and sales deeds in resettlement colonies. 57. Affordable Housing For All: We will construct affordable housing for lower income groups. 58. In Situ Development of Slums: Slum dwellers will be provided plots or flats in the same location as the existing slums. If that is not possible, they will be rehabilitated in the closest possible location. Click here to read the AAP’s complete election manifesto.